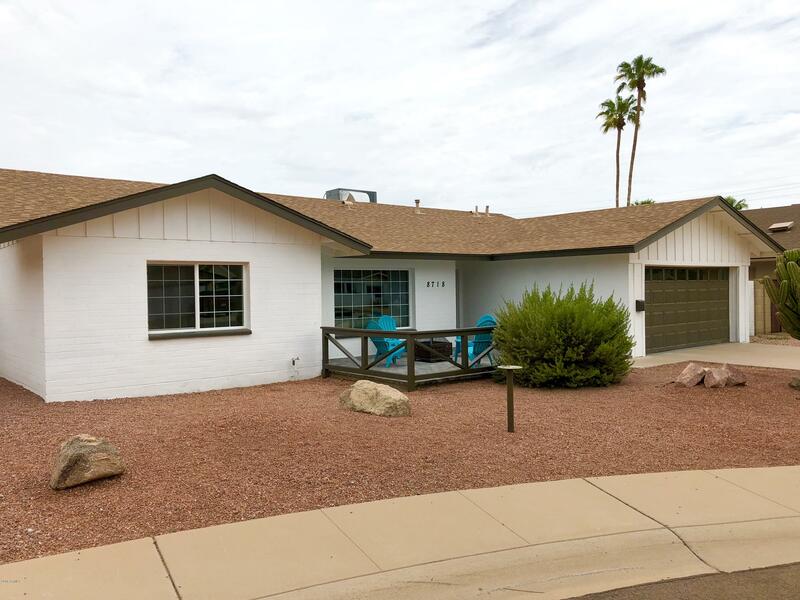 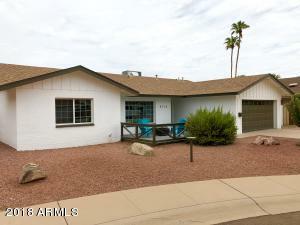 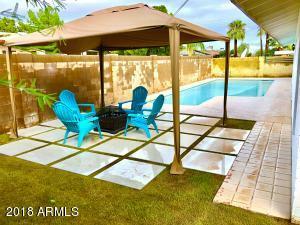 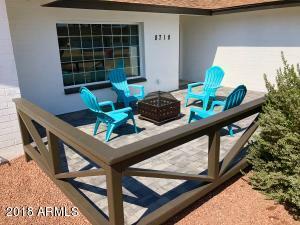 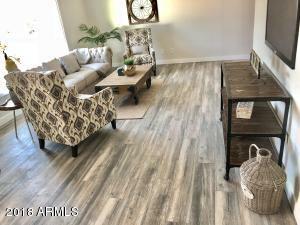 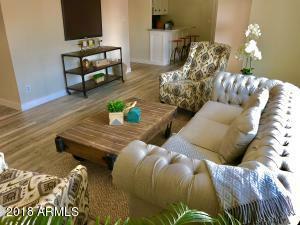 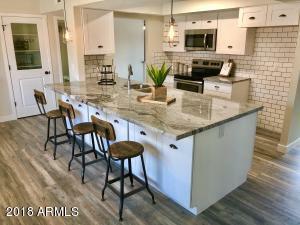 Awesome Scottsdale farmhouse Oversize front sitting porch is ready for your Adirondack chairs & fire pit. 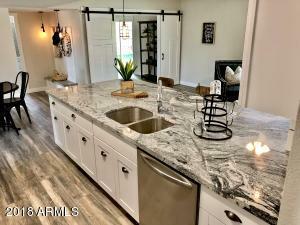 The bistro kitchen awaits your creations w/ floor to ceiling subway tile, table size Galaxy swirl stone breakfast bar and counters + an oh so cute wire glass pantry. 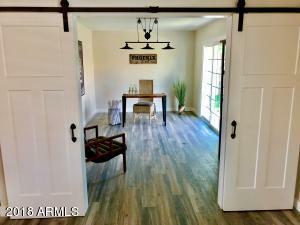 Barndoors open from Great Room w/ plantation shutters & distressed floors into den/convertible 4th bedroom. 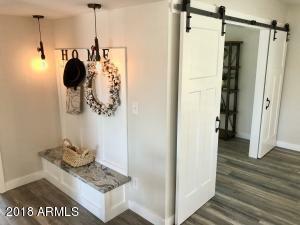 You'll love the craftsman woodwork trim throughout the home, retro 3 panel door & craftsman casing on all the windows, special hardware & light package are sure to impress. 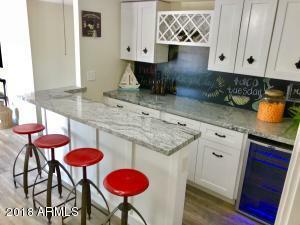 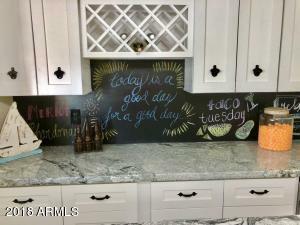 Family & guests will gather at your own homework/wine bar w/ wine frig, stone countertops & chalkboard wall where you can list the special of the day. 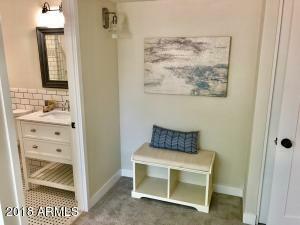 The hallway drop zone with stone bench is sure to be a family pleasure.